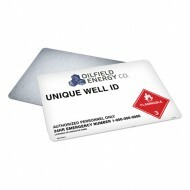 Wellsite signs & lease signs for the oilfield, oil & gas and energy sectors. 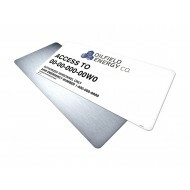 Whether it's compressor station signs, battery station signs, wellsite signs, lease signs, access signs or facility signs you can customize all of your oilfield signs online and checkout using a credit card or purchase order number. Register for an Express PO Checkout account today! 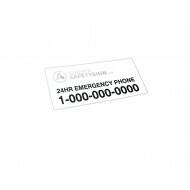 Blockout Decal Contains: Emergency Contact Phone Number. 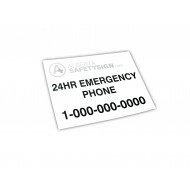 Material/Size: Customize Sizing U..
Blockout Replacement Decal Contains: Emergency Contact Phone Number. 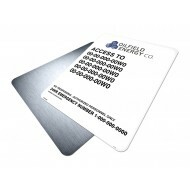 Licensee or Operator Nam..
Blockout Decal Contains: Emergency Contact Phone Number. Licensee or Operator Name. 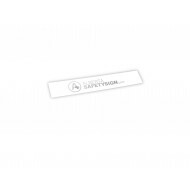 Mat..
Blockout Decal Contains: Licensee or Operator Name. 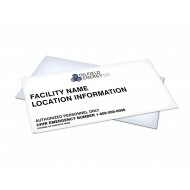 (Name must be included in logo image) ..
Flare Knockout Sign Contains: Optional: Category I: Flammable (liquid); Class 3, UN 126..
Flare Knockout Sign Contains: Category II: Poison Gas; Class 2; Procedures to Empty Fla..
(DOWNLOAD EXCEL TEMPLATE) Compliance (2012-2013): Formatting is compliant with [OGCR 6.020(..
Subsoil Stockpile sign contains: SUBSOIL STOCKPILE Emergency Contact Phone Number. 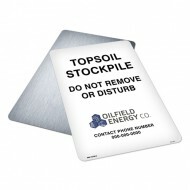 Artwor..
Topsoil Stockpile sign contains: TOPSOIL STOCKPILE Emergency Contact Phone Number. 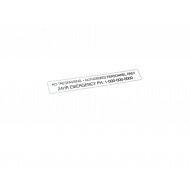 Artwor..
(DOWNLOAD EXCEL TEMPLATE) Compliance (2014): Formatting is compliant with Alberta [OGCR ..